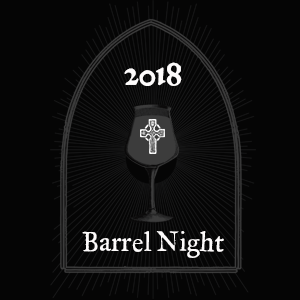 On Saturday, October 27th, join us for our 2018 Barrel Night. Enjoy a six-course meal prepared by Executive Chef Philip Esteban from Consortium Holdings paired with 6 single barrel beers from The Lost Abbey Oak Aging Program. Included with the ticket will be a limited edition glass, access to the bar to enjoy favorites such as Red Barn and Mongo, and two bottles of Veritas 021. Veritas 021 will be an oak-aged sour with Raspberries, Vanilla, and Cinnamon. Tickets are limited to 150 people.